Thank you to all our entertainers for a great time and their help in making all at the 1st Pasco Pet Fest on Oct. 4, 2014 a success. Frank “the Geezer” Hewlett is the consummate entertainer who is a life long Florida native who was born and raised in Tampa. After a tour of duty in the United States Army in Korea he returned home to pursue his musical journey that has taken him through multiple decades of top hits from some of your favorite artists. 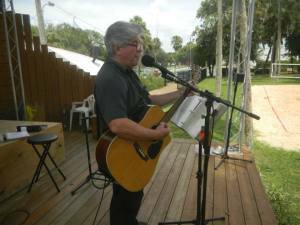 He is a talented songwriter along with guitar instructor and delivers his talent day in and day out. 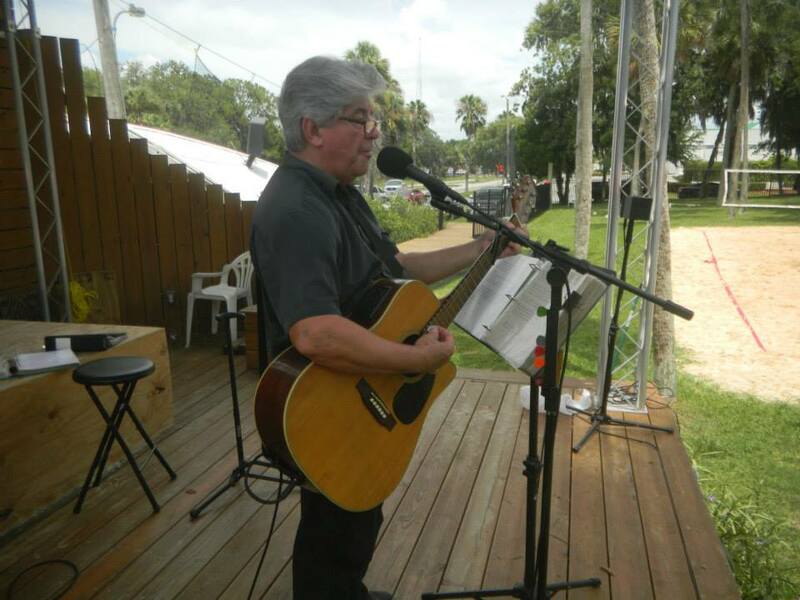 You can see Frank at many of the open air markets and venues around the Tampa Bay area. Artist, Lars-Erik Robinson has collaborated with clients on thousands of well-received commercial and editorial illustrations, live and studio caricatures,portraits, site-specific murals, and graphic/web design projects. He has also taught hundreds of art students, in groups and as individuals, of varying ages and skills. His goal in education is to provide the pace and experiences that are desired of the students in an environment that includes humor, comfort, and high-self esteem. At the Pasco Pet Fest, Lars will entertain the crowd while drawing caricatures or people and their pets. 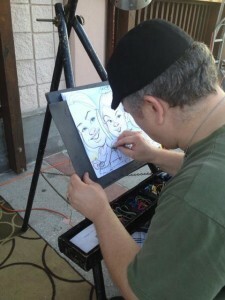 He’s amazingly talented and will create a lasting impression while making you smile. Visit his website to learn more about Lars, and follow him on Facebook. Brody is Titled as a Trick Dog Champion and K9 Artist. He knows over 200 tricks and easily learns new behaviors. Brody enjoys performing his trick routines for local venues and charity events, he also loves act and model. Brody plays the guilty dog in the Neater Feeder Commercial. 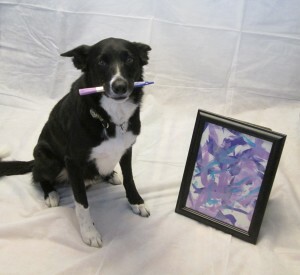 Brody is a very talented artist he paints beautifully and donates his art to charity auctions. Brody was once a rescue dog and feels it is very important to pay if forward. He generously donated one of his paintings to our raffle and will pick the winner at Pasco Pet Fest. Brody is quite ham and loves playing the class clown; his favorite activities include a daily game of basketball in which he is particularly awesome at slam dunking his basketball, he is also very responsible and helps out with the chores around the house. Visit his website to learn more about Brody at Brody the Border Collie, and follow him on Facebook, Twitter, YouTube, Google+, and Pinterst.